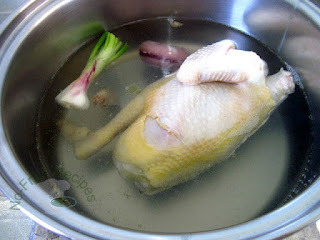 Clean the chicken and boil some water in a pot. Once the water is boiling, add in the chicken, the water should be able to cover the chicken. Add in a whole onion, ginger and the spring onion head. Cover, and cook till the chicken is tender, take out to cool and shred. Add a small piece of rock sugar into the soup, a star anise and cinnamon stick. Simmer for about 15 to 20 mins. Add salt and Knorr chicken cube to taste. Cook the rice sticks as per instructions on the package. Drain and put in serving bowls. 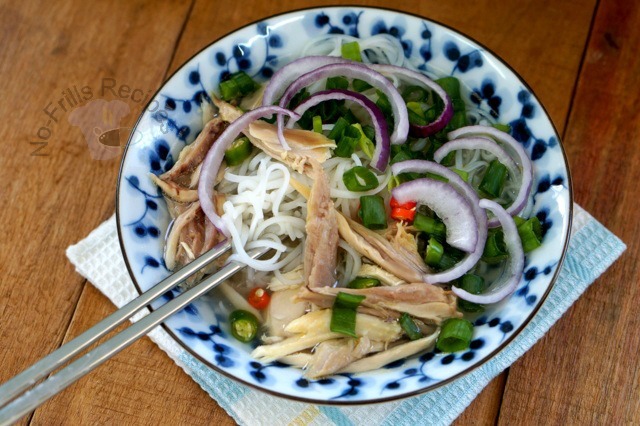 Add pieces of shredded chicken onto the noodles, ladle on the hot soup and sprinkle on the chopped spring onions, onion rings and bird eye chillies. 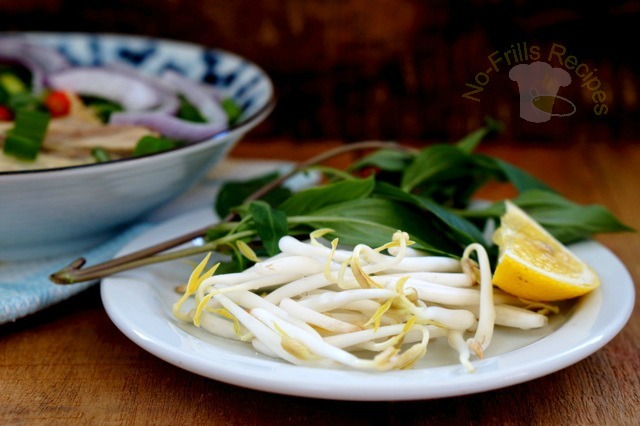 Serve immediately with basil leaves, bean sprouts and a wedge of lemon or lime, with a dipping sauce of bird eye chillies and fish sauce on the side. Cheah, The weather is terribly hot and humid. 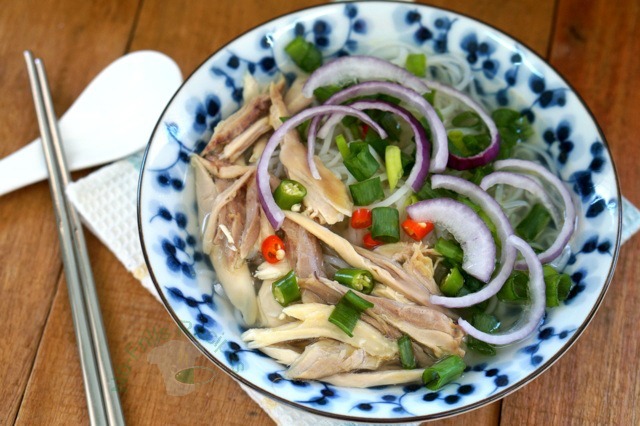 I definitely want to cook some simple and delicious like yours. 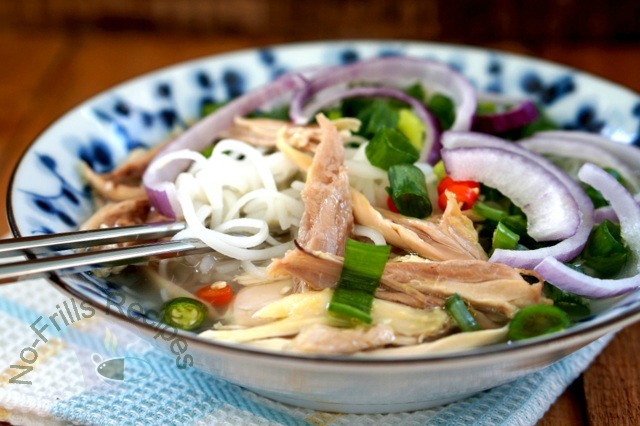 I'm game for soupy noodles anytime, more so in this scortching weather! Yes, a respite from this heat!